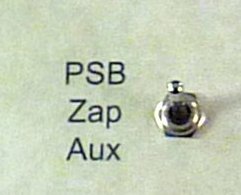 The Photon Sound Beam function is accessible by using the 3 way selector switch to select PSB. In 1893 Nikola Tesla presented at the Colombian Exhibition in Chicago his invention the alternating current generator which we still use today to send electricity over long distances. At the same exhibition, he presented another of his inventions, the Violet Ray Machine. The Violet Ray Machine used a Tesla coil which generated a certain form of energy which in turn stimulated or facilitated the movement of energy through the body. While many of us consider ourselves as a complex chemical organism, electromagnetism is perhaps more important although less acknowledged aspect of the human body. Nonetheless, the violet ray machines were very popular and were used even as late as the 1950’s. There decline was due to a high demand for radio transmitters in world war 2 and the electronics factories producing them stopped doing do. They were also stopped in the 1940s by numerous law suits from the FDA despite many respected doctors and physicians writing books on and supporting the devices. The FDA (Federal Drug Administration) did not support electrotherapy which was competitive to their industry, and statistically unsupported claims quelled the device. Another technology that was considered competitive to the FDA in the earlier part of the twentieth century was the work of Georges Lakhovsky. Georges worked on the assumption that all living cells emit and receive electromagnetic radiations at their own high frequencies. In 1925 Lakhovsky wrote a Radio News Magazine article entitled “Curing Cancer With Ultra Radio Frequencies.” Another researcher Royal Raymond Rife was able to microscopically validated the detrimental effects of RF-carried frequencies on cancer cells. With assistance from D’Arsonval, Georges Lakhovsky in 1934 patented the Multiple Wave Oscillator, that Lakhovsky claimed would revitalize and strengthen the health of cells. The patient would sit between 2 large discs, and they would broadcast a plethora of specific frequencies through the human body. The cells would pick up the healing frequency specific to that cell. For instance, the liver has a frequency which differs from the kidneys, and the oscillator emitted all frequencies specific to each of the organs. Later on in his research, Lakhovsky discovered a frequency which he labeled the mother of all frequencies, as it was universal to all life forms, as were the huge number of harmonics that were associated with this frequency. The frequency he discovered is 728 Hz. All life forms on earth including plants and animals resonate with this frequency. So through transmitting the one frequency, he was able to get the same effect as transmitting all of the frequencies associated with his multiple wave oscillator. In time, the FDA suppressed his technologies which were competitive to the modern pharmaceutical approach to medicine. As time progressed throughout the twentieth century, other researchers also discovered the 728 Hz frequency in their work. Another researcher that understood Edward Skilling electrotherapy and the electromagnetic principles of the human body was Ed Skilling. Ed retired as an engineer and in 1983 he formed the Edward Skilling Corporation. The very first thing that he did was build the photon sound beam. This was a simple device that was based around Tesla’s Violet Ray machine, but it also incorporated the 728 Hz frequency discovered by Lakhovsky. Many of the photon beam devices were sold and anecdotally they were proven to be effective on a case by case basis. The company was taken over by Skilling’s children, but eventually the FDA stepped in and shut down the Edward Skilling Corporation due to claims made by the company. Photon Sound Beam Complete is similar in design to the original Photon Sound Beam developed by Ed Skilling, but it is far more evolved. Originally developed in 1994, it has gone through many improvements. Photon Sound Beam Complete is made by hand by the one company who make no claims regarding the machine. It advances the concepts of Tesla, Rife, Abrams, Lakhovsky and more recently, Ed Skilling, Robert Beck and others. This Plasma Electrical Instrument combines advanced Lymph Technology with full-spectrum frequency Rife, Lakhovsky and Hulda Clark Technology, and utilizes the principles of bio-availability, Sacred Geometry, holistic/harmonic Wave-Forms, and modern circuitry design. In the picture to the left, you will see a black box. This is plugged in to the Photon Sound Beam Complete and is placed behind the shoulder blades while the patient is sitting upright during a therapy session. When using the IR setting (Infra Red), it is recommended that the transmitter touch the skin. The transmitter delivers the selected frequency which is chosen using the right hand knob (each setting is referenced in the manual that comes with the unit). Settings 1 and 2 are popular settings as they do a complete sweep through all of the frequencies, focusing on one frequency at a time. The field diameter of the transmitter has a diameter of around 100ft which can be detected using an FM radio and tuning it to 108MHz on the dial. This will show the range of the field effect by hearing it pulsing. The RF Sound Probe emits RF signals in Harmonics Ratio with 3 quartz crystal oscillators at about 500 milliwatts to penetrate the body with rich harmonics – with the RF Carriers and the frequencies which they carry. These RF Carriers contain the same frequencies emitted by the RF-enhanced Electric Plasma Tubes is typically used synergistically at the same time, however one may use RF Sound Probe by itself especially for night time with close distance (1-3 ft) broadcasting. The RF Sound Probe contains three separate frequency generators, all designed for body penetration and harmonics. This includes the resonance of Oxygen. They are sent to a handmade, scalar-wound, Tesla coil antenna for increased output and range. The glass electrodes are an improvement over the Tesla violet ray tubes discussed earlier. There are 2 of them, one that is sending and one that is grounding. One is straight (filled with Helium, Argon, and Neon) and the other curved (filled with Helium and Argon). The glass electrodes are held, one in each hand, and through holding the tubes this creates a circuit through your entire body. In the Photon Sound Beam Complete, 2 electrical Tesla coils create a bipolar current that is sent by one glass electrode and picked up by the other. A Tesla coil is a low voltage high power radio frequency generator. The frequency signals are thereby fed into the glass tubes which contain a mixture of the inert gasses Helium, Argon, and Neon which produce the necessary glowing gas plasma. When the machine is switched on, you hear a sound coming from the RF sound probe as the device pulses on and off. This sets up a wave motion in the body which has a driving effect on the body’s lymphatic system which we will discuss later. 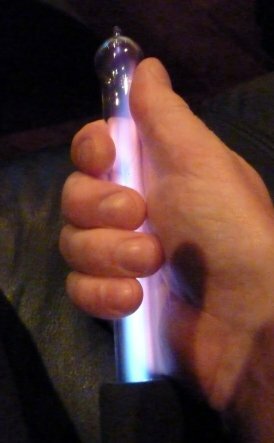 The glass electrodes in fact glow a bluey purple color, as a result of the excitation effect of the inert gas molecules from the electrical current. The bluey purple light is in fact a plasma. You can see this if you view the electrodes in the dark (see the photo to the right). With each pulse, billions of electrons are thrown off the surface of the glass electrodes and then they flow through the body which has a therapeutic effect upon the individual cells in our body. 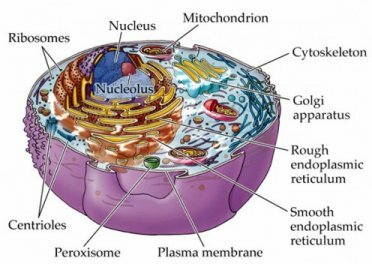 To explain this, lets look at the cell, its components and how it metabolizes. The cell is composed of an outer Plasma Membrane, and an inner gelatinous core which consists of sub-components such as mitochondria that are responsible for metabolizing energy. 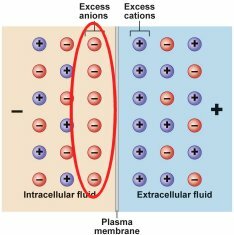 The Plasma Membrane is primarily negatively charged on one side and positively charged on the other side as shown in the diagram. This creates a potential difference similar to a battery. There are over 70 trillion cells in your body doing this and the charge on each healthy cell membrane is in fact creating a current of around 70mV. As we age or as depletion or disease occurs, we begin to lose the charge on the cell membrane, and in fact this charge decreases sometimes to as low as 20mV. As the charge on the cell membrane declines aging or more importantly degenerative diseases occur. Once cells lose their electrons, it loses its integrity and the cell starts to breakdown. The Photon Sound Beam provides electrons to the cell membranes, raising the potential again to make a healthy cell. Our physiology is primarily electrical in nature and secondarily physical. highly scalar Zero-point Subtle Energies. The Photon Sound Beam incorporates several Noble Gases in a specific proportion, for a pure transmission of the elemental colors of each of the gases, and their exotic healing value. Noble Gases ionized in vacuum with biological levels of electricity is an ideal media to emit frequencies, subtle energy and photobiotic nourishment. It is the same media found in intergalactic space and it is the basis of the quantum value of our Photon Sound Beam PlasmaElectrical-RF Product Line. Plasma Electricity emitted from ELECTRICALLY-IONIZED Noble Gas glass tubes, automatically oxygenates and deeply cleanses the tissues and fluids of the body. It also profoundly prepares the physiology to accept the wholeness of any frequency delivered to the body – dramatically increasing bio-availability of any frequency. The plasma-electricity emitted from Electrical Plasma Tubes is at biological levels of electrical current. It automatically dis-associates bound cells, bound protein and toxins while encouraging the flow of all the natural elimination channels in the body and deeply cleansing all the tissues and fluids. This cannot occur with either type of popular Rife Technologies used today: Rife Metal Rod Technology or Rife Broadcast Technology. Metal Rod output cannot effectively delivery frequencies because of the high skin impedance. Rife Broadcast instruments emit frequencies vulnerable to body accommodation and environmental EMF pollution. Neither instrument effectively provides any lymphatic drainage or enhanced cellular integration of frequencies found with the Photon Sound Beam. When the electrons are infused into the body, some of the oxygen in the red blood cells converts to ozone, which is natures greatest sanitizer and healer. Ozone is naturally formed by the waves lapping on the warm sand on the beach and is regarded as healthy and therapeutic. Every cell in the body has receptors to the blue photonic light emitted by the glass electrons. Photons are the driving source of metabolism, whereas chemicals are only secondary stimulants and partners of light information in this dynamic. Therefore ordinary nutrition through substances, falls far short in meeting our demands for full energy/information directly from the Unified Field. The new Photon Sound Beam complete provides a full-spectrum of bio-available photon energy to meet the body’s essential need for direct, holistic nutrition. If we were to take a photo of our blood cells prior to using the Photon Sound Beam, we would most likely find that the cells are slightly sticky with some clumping which is a normal observation but it is not meant to be that way. Blood cells are supposed to be rounded, and separated from one another which is how they gain their efficiency. 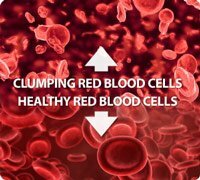 The blood cells clump as a result of negative charge being lost from the cell membranes, which results in them coming closer together as there is no charge for one cell to repel the other. Just seconds after applying the Photon Sound Beam to anyone, we can re-examine their blood and the blood cells are plump rounded and separated allowing them to flow freely. Tests before and after using the Photon Sound Beam device show that oxygen levels have increased 2-3x after applying the device. It is well known that all toxins in the body are positively charged. They are therefore attracted and attach themselves to the weakly negatively charged cell membranes. Through introducing a stronger negative charge to the cell membrane, the toxins will disassociate from the membrane, combine with an electron provided by the Photon Sound Beam which thereby creates a neutral molecule which is placed into solution for elimination. 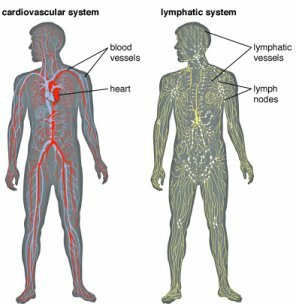 Another thing to consider is that the body has 2 systems, a cardiovascular system that delivers blood throughout the body, and a lymphatic system which takes waste away. The vascular system has a pump, being the heart, whereas the lymphatic system does not have a pump, but relies on motion and exercising. The movement of the lymphatic system is essential in detoxifying the body, supporting the immune system, and maintaining “homeostasis”. Normally the lymph is pumped by the movement of our body’s electromagnetic field through that of the Earth’s electromagnetic field with exercise and activity. However, a clogged or sluggish lymphatic system prevents the body from circulating vital fluids and eliminating toxic wastes, and dulls the immune system response. Tissue and cellular stagnation/congestion makes us vulnerable to infections and disease. In order to be healthy, it is essential to keep the energy and fluids moving so that the body’s natural intelligence may operate in its full healing capacity. In addition, each cell must be enlivened with its own unique frequency resonance and ideal electrical energy state, and be fully connected to the life-force energy throughout the rest of the body. The problem is that when someone is very sick, they will not feel like exercising. The advantage to using the Photon Sound Beam is that as it pulses its energy through the body, it drives the lymphatic system assisting it to drain and eliminate toxins without the need for motion. Automatic Sequencing of dozens of Frequencies – Rife, Universal Rife, Brainwave, etc. The Photon Sound Beam Complete can be used completely independently by itself, or synergistically for enhanced results with the Hypertronic Pro. Both the Hypertronic Pro and Photon Sound Beam Complete are engineered and manufactured by the same development team. There is a specially designed port in the Hypertronic Pro which allows the RF Sound Probe port on the Photon Sound Beam Complete to directly connect to the Hypertronic Pro. When connecting the 2 units, a stereo cable with 3.5mm jacks must be used to preserve IR functionality. Allow the Hypertronic Pro to broadcast Photon Sound Beam frequencies (e.g., the general sweep on the level 1 or 2 setting for 30 mins) to any patient (with their permission) worldwide. When using the Photon Sound Beam for a therapy session, allows the Hypertronic Pro to send inverse mirrored energies back to the Photon Sound Beam for inclusion in the hand held plasma tubes. Argon, Helium, and Neon used in specific ratios in Glass Applicators (L Shaped, Lolly Pop Shaped). Our High Frequency connectors used by the glass plasma tubes combine actual silver and gold wire together for the higher voltage transfer. This standard feature turns any regular glass plasma electrode into one that radiates the energetic vibrations of both gold and silver. Imagine, no need to obtain special electrodes. 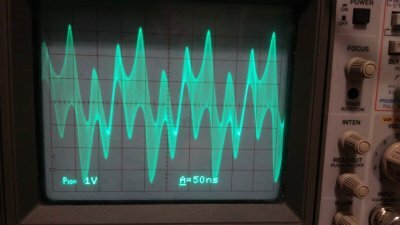 Triple Oscillatory RF Sound Probe. The RF Sound Probe contains three separate frequency generators, all designed for body penetration and harmonics. This includes the resonance of Oxygen. They are sent to a handmade, scalar-wound, Tesla coil antenna for increased output and range.